Meals disability became obvious after his blown call during Tuesday’s 19 inning nail bitter between the Pirates and Braves. The Braves finally prevailed when Julio Lugo scored from third on a grounder to third baseman Pedro Alvarez, whose throw home beat the runner by nearly an entire mile. 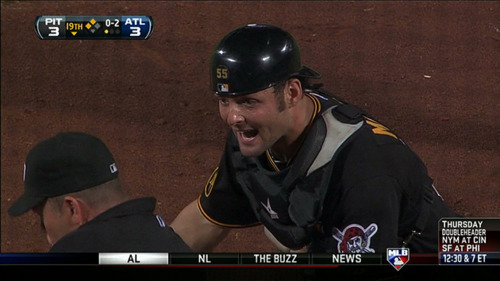 Pirates catcher Mike McKenry applied a swipe tag, but Meals called Lugo safe. McKenry began screaming at Meals “what are you, blind?”, until an emotional Meals finally admitted that he was indeed legally blind. “I’m guessing he might have got him, but like I said I have no idea. I’m legally blind. People seemed really upset after the call though, so I knew it was time to come clean,” Meals said. 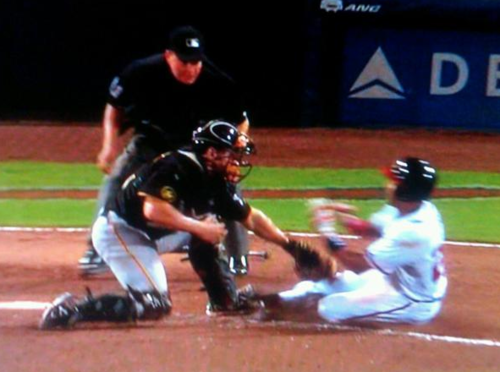 MLB has decided not to fire the legally blind umpire and let him finish his contract. “He’s had a hard enough week already, it would be heartless for us to fire Mr. Meals at this point,” said Commissioner of Major League Baseball Bud Selig.